I spend a lot of time taking care of myself. I exercise almost every day, I never miss a doctors appointment and I try to keep my kitchen as local and organic as possible. But, I realized that while I was ultra-concerned about what I was putting into my body, I was not being nearly as careful about what I was putting on my skin. If a lotion smelled good or a lipstick looked pretty, into my medicine cabinet it went. You see the irony here. Enter the Detox Market. Gone are the days where, if you want to buy chemical-free cosmetics, your only options are the three shades they cary at Whole Foods. Non-toxic doesn’t have to mean non-pretty. The Detox Market strives to marry style with a detoxed way of life. In a nutshell, it’s exactly how I want to live my life. Healthily, without having to sacrifice the glamour. If I could, I would purchase every single item in the store. Alas, that is not an option. Yet. Until that point, here are a few of my must haves for staying clean and beautiful: RMS Beauty Lip2Cheek in Beloved (I wear a swipe of this on my lips and cheeks almost much every day), RMS Beauty “Un” Cover-Up (the best concealer ever; it literally melts into your skin), RMS Beauty Living Luminizer (yes, I’m obsessed with RMS Beauty, but with good reason…this will give you that J. Crew model glow), Soapwalla Deodorant Cream (because regular deodorants are basically a disaster waiting to happen) and the entire Odacité line of skincare. 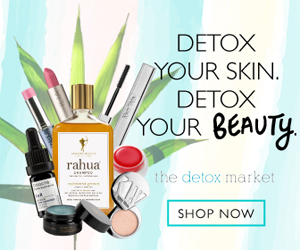 And there’s good news for you non-locals (or agoraphobes); the Detox Market website is just as pretty and welcoming as it’s brick-and-mortar counterpart. So you really have no excuse not to start making over your makeup drawer.